This satellite was delivered in under three months, all of which is part of a pilot program. 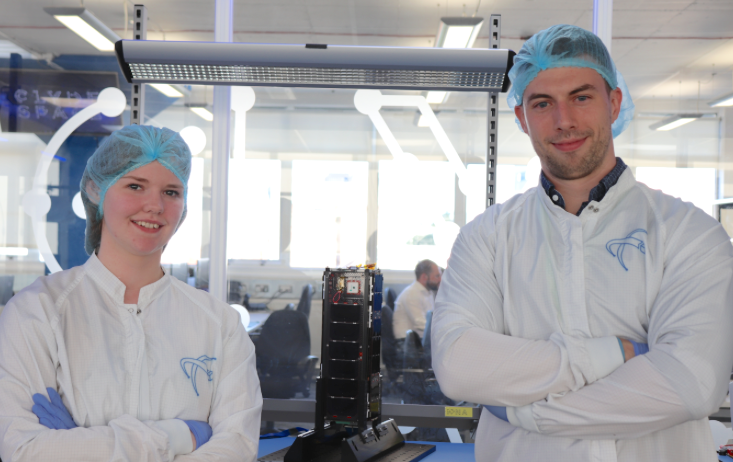 ÅAC Clyde has delivered its second 3U satellite to Canadian company Kepler Communications, which is set for launch later this year. 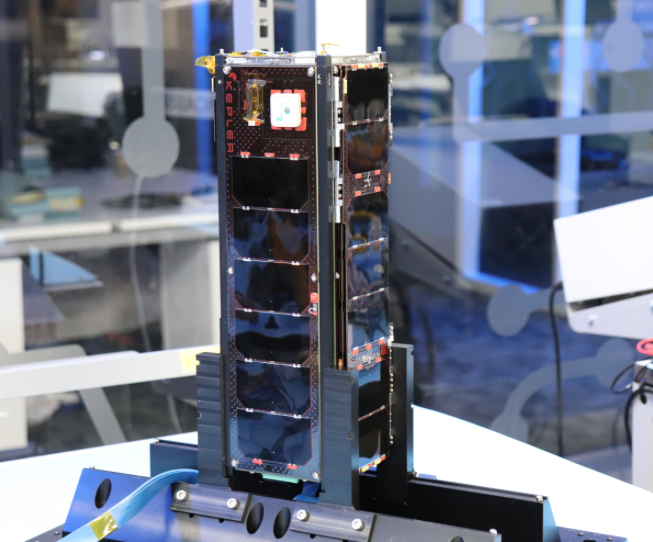 The satellite was manufactured in under three months to form part of a pilot program to demonstrate its store-and-forward data service aiming for a much larger constellation targeting as well the global IoT market and in-space connectivity. The satellite named CASE, is the second built by ÅAC Clyde for Kepler. It will support the first 3U satellite KIPP, also delivered by ÅAC Clyde and launched early 2018. The two spacecraft are part of a pilot program that carries Kepler’s novel Software Defined Radio (SDR) and antenna array, representing the first commercial entity to launch and operate a Low-Earth Orbiting communications satellite in Ku-band. ÅAC Clyde was recently awarded the contract from Kepler Communications for a further satellite, a 6U platform named TARS. TARS will expand on the success of the two 3U predecessors by carrying a full suite of upgraded communications and processing units developed by Kepler to deliver both broadband and narrowband telecommunication services. For more information about TARS please click here. Iraklis Hatziathanasiou, VP Business Development ÅAC Clyde said that with CASE, they have demonstrated their ability with short lead-times to deliver reliable customer solutions for commercial applications. They look forward to continue working with Kepler Communications as they expand their operations. Hazel Jeffrey, ÅAC Clyde lead Platforms Engineer for the Kepler Mission and Jared Bottoms, Lead Systems Engineer Kepler Communications. Jared Bottoms, Lead Systems Engineer Kepler Communications added that CASE was an opportunity for them to quickly incorporate what they previously learned from KIPP, while also extending their service capacity and service response. The pilot KIPP and CASE program is a great first demonstration of handling high data-volumes from global users through multiple spacecraft. It really strengthens their Global Data Service offering while they await the increased capacity and IoT capability that will come from TARS. Kepler aims to form a considerably larger constellation based on the program that also includes the recently ordered 6U satellite from ÅAC Clyde. The forthcoming GEN1 constellation will incorporate 10 more satellites set to roll-out in 2020, followed by GEN2 in 2021 with additional 50 satellites, and GEN3 in 2022 with a further 80 satellites to complete the 140-satellite constellation. The first spacecraft in the program, KIPP, was successfully launched into Low Earth Orbit in January 2018 from the Jiuquan Satellite Launch Centre (JSLC) in North-western China and is performing well on-orbit. In particular, the mission has proven the operation of ÅAC Clyde’s precision 3-axis control system and the On-Board Computer, which is a highly resilient system that has already demonstrated impressive operational uptime. Craig Clark MBE, Founder of Clyde Space and CSO of ÅAC Clyde said that ÅAC Clyde aims to take a leading position in the emerging small satellite constellation market. In delivering “Satellite as a Service”, they combine best-in-class manufacturing capabilities, novel operational structures and cutting-edge technology to offer customers unrivalled access to space..